Self Care: What is it? 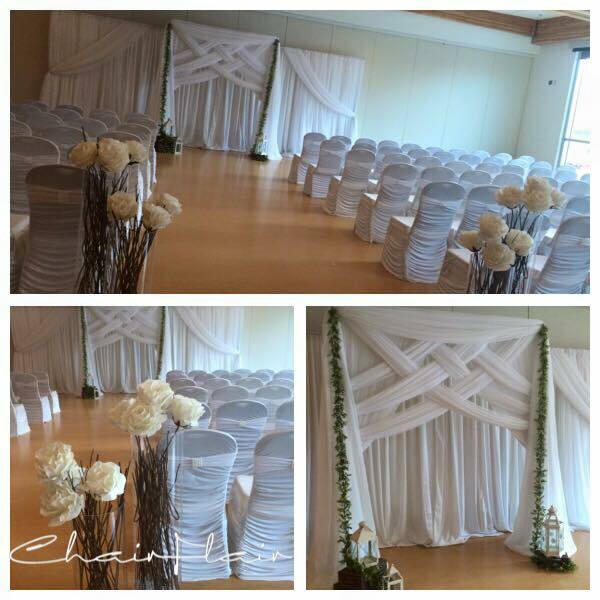 Our ceremony space decorated by Chair Flair. You think about it; how perfect and wonderful it will be ever since you were a kid. A grand church, lots of people, big poofy dress. I had been dreaming about this day since I learned what a wedding was in elementary. On May 28th, 2016, I married the love of my life and had wedding so different from all of my previous visions. And it was even better. I won't go into too much detail, but I wanted to post this to showcase all of the vintage wonder I had in my wedding. To the left was my ceremony space, and the gorgeous back drop Chair flair free handed with my only request of "I love vintage and pretty." I think they nailed that. My ceremony space. Flowers by Antheia Floral. Tea pots from Cellar Door Vintage Rentals. Decor and linens from Chair Flair. Our ceremony space was breath taking. We made our grand entrance and I was in awe of how everthing turned out. From my magical unicorn flowers in vintage sterling silver teapots, to the bows on the table made from napkins. There was lace used in the back drop (I looooove lace), and the lanterns hanging on the ceiling looked like they were all meant to be in that particular place and looked amazing. Below are a few more pictures with some captions. I hope this gives you some inspiration! After our wedding, I had to return these pretties. Sadly, I couldn't in person (Thanks Dad!) so I tried to save enough flowers to send in one of the teapots. She snapped this the next day! Tea pot from Cellar Door Vintage Rentals. Our flower of choice was the succulent. The men looked so handsome with them on! Flowers by tmfloraldesigns. The bridesmaids flowers and my bouquet. All place cards done with calligraphy by yours truly. These are all silk by the way. Could you tell? Flowers by tmfloraldesigns.